PARTIZAN is a Romanian band that represents the real Bucharest streets. The new single PARTIZAN, Manualul(the Manual ) has been extremely well received by the public and criticism from the local music industry, being catalogued as a piece of great music, that impresses through, creativity of sound, tones and artistic interpretation. "PARTIZAN live! @ Control" Concert in Bucharest. 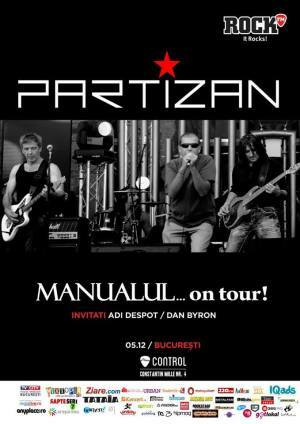 You can get here description, reviews, address, time and details of "PARTIZAN live! @ Control" Concert in Bucharest. Visit Bucharest Tips for more Concert events in Bucharest!